Vintage Crime/Black Lizard, 9780679723219, 304pp. James Mallahan Cain (1892-1977) was a first-rate writer of American hard-boiled crime fiction. Born in Baltimore, the son of the president of Washington College, Cain began his career as a reporter, serving in the American Expeditionary Force in World War I and writing for The Cross of Lorraine, the newspaper of the 79th Division. He returned from the war to embark on a literay career that included a professorship at St. John’s College in Annapolis and a stint at The New Yorker as managing editor before he went to Hollywood as a script writer. Cain’s famous first novel, The Postman Always Rings Twice, was published in 1934 when he was forty-two, and became an instant sensation. It was tried for obscenity in Boston and was said by Albert Camus to have inspired his own book, The Stranger. The infamous novel was staged in 1936, and filmed in 1946 and 1981. The story of a young hobo who has an affair with a married woman and plots with her to murder her husband and collect his insurance, The Postman Always Rings Twice is a benchmark of classic crime fiction and film noir. 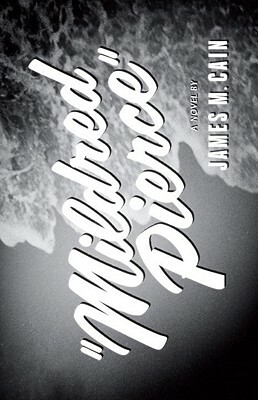 Two of Cain’s other novels, Mildred Pierce (1941) and Double Indemnity (1943), were also made into film noir classics. In 1974, James M. Cain was awarded the Grand Master Award by the Mystery Writers of America. Cain published eighteen books in all and was working on his autobiography at the time of his death.